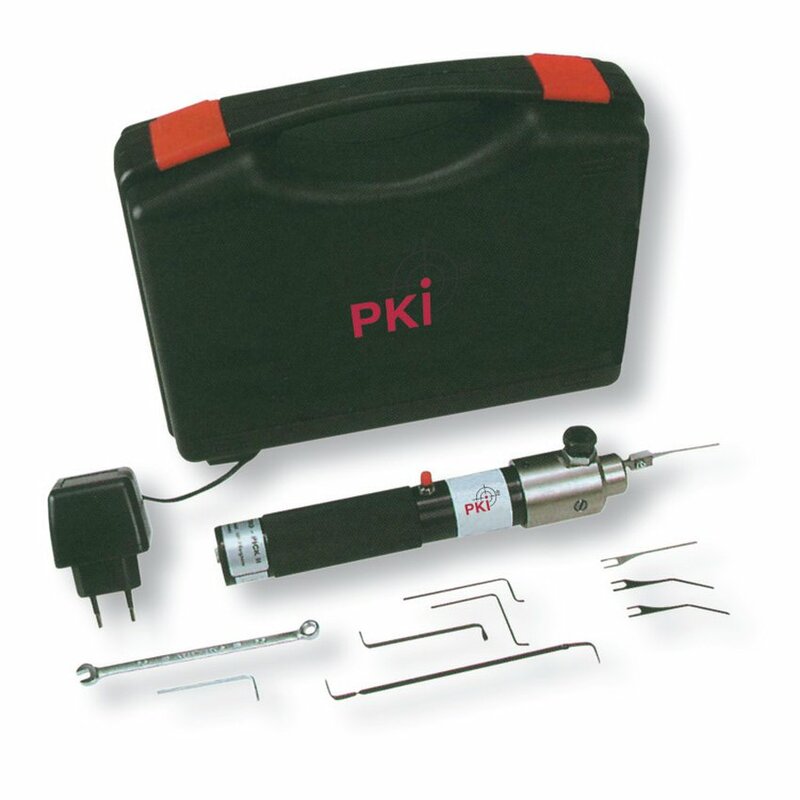 The PKI 9570 is used for a non-destructive opening of each kind of modern cylinder locks. Its working method is quite similar to the well known electropick system but being an advanced system, the PKI 9570 can be used in the same way at a higher sophisticated level for nearly every known type of lock. By the use of the optionally available accessories, this system can unlock “exotic” locking systems as well. Therefore it should not be missed to have this device available in every government department being involved in fights against criminal acts and where a direct access to locked rooms is important. For the way how to use this special set please contact us for the next training held at our premises. PKI 9570 is powered by 24 VDC using the supplied battery pack and therefore is independent from any mains power supply. The battery pack is charged by the supplied electronically regulated mains adapter.